1Katsumi Iwatsuki (e-mail: iwatuki.katumi@lab.ntt.co.jp) is with NTT Service Integration Laboratories, NTT Corporation, 9–11 Midori-cho, Musashino-shi, Tokyo, 180-8585 Japan. 2Jun-ichi Kani is with NTT Access Network Service Systems Laboratories, NTT Corporation, 1–1 Hikarinooka, Yokosuka-shi, Kanagawa, 239-0847 Japan. 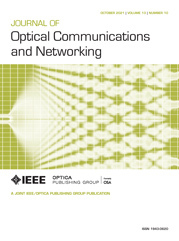 We review our recent research activities on the applications and technical issues of WDM passive optical networks (WDM-PONs). First, we describe our focus on two candidate applications of WDM-PON: one is a long-reach WDM-PON based on wavelength routing for metro–access integration, and the other is a short-reach WDM-PON for coexistence with current PON systems. We identify that the realization of colorless optical network units (ONUs) is an important technical issue for both applications, and an effective protection function is another important issue, especially for the long-reach WDM-PON. We compare several colorless-ONU approaches as well as introduce our recent research results to resolve the issues raised by some colorless-ONU approaches. We also describe two demonstrations: one is the long-reach WDM-PON with a wavelength-shifted protection scheme as well as loop-back-type colorless ONUs, and the other is a WDM-PON coexisting with a current PON system with tunable-type colorless ONUs.